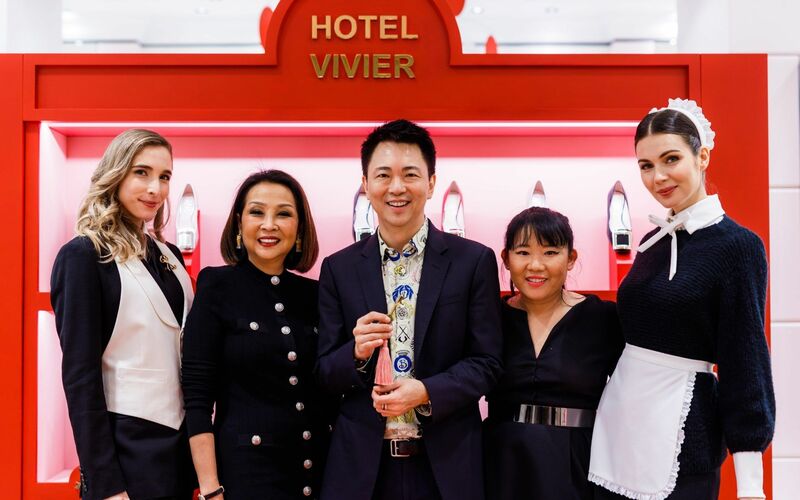 The shade of fiery passion together with the exquisite atmosphere of a chic hotel in Paris is the Hotel Vivier concept at Pavilion Kuala Lumpur. Roger Vivier now headed by the Maison's new creative director Gherardo Felloni launches the spring summer 2019 collection with a series of buckle pumps called the Tres Vivier and the easy-going sneakers, Viv' Run. The event was hosted by The Melium Group and attended by devotees of the brand such as fashion designer and The Melium Group founder Dato' Seri Dr Farah Khan and actress, Che' Puan Juliana Evans.